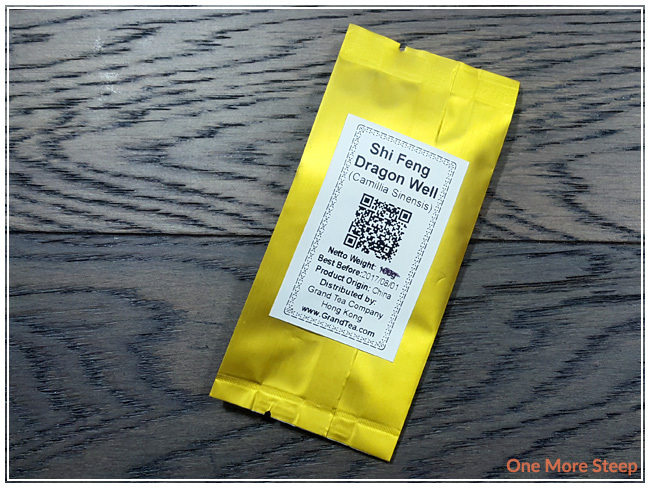 Grand Tea has provided me with Shi Feng Dragon Well for the purposes of providing an honest review. I received this product at no charge to me and received no other compensation. I have become a huge fan of green teas over the last two years, and Dragon Well holds a place in my heart at this time. My dad drinks it a lot, and we’ve developed a better relationship since I moved out. When I go back to visit and stay with my parents, my dad always makes tea in the morning grandpa style and he usually steeps some kind of green tea (lately it’s been Dragon Well) or some type of pu-erh tea. What is grandpa style? Grandpa style is one of the easiest ways of steeping tea. It’s pretty much just some tea leaves in a cup, and you just keep pouring water in throughout the day. You don’t pay much attention to water temperature or how long you’re infusing the tea leaves for. It’s basically the easiest method of tea steeping because there are no rules. Shi Feng Dragon Well is a straight, green tea. The tea leaves are flattened in the process of production, and you can definitely see that in the dry leaf. There’s a very mild aroma to the dry leaf – just a bit of saltiness that reminds me of the ocean, and a bit of floral fragrance in the dry tea leaf. There were no steeping instructions on the sample packet. Grand Tea’s website suggests steeping Shi Feng Dragon Well in 80°C (176°F) water for 1-2 minutes for the initial steep. I steeped Shi Feng Dragon Well in my tea pot for 2 minutes in 80°C water. Shi Feng Dragon Well steeps to a pale yellow for the initial steep. There’s a light floral aroma that wafts up from the tea while I pour it into my cup. On first taste, the first thing I notice is the floral notes and some salty flavour to this green tea. The saltiness reminds me a lot of seaweed snacks, and adds a nice level of umami to the tea itself. There’s a mild sweetness to this tea, which I think comes from the floral notes. It’s enjoyable to the taste buds with good balance between the floral, sweet, and salty. 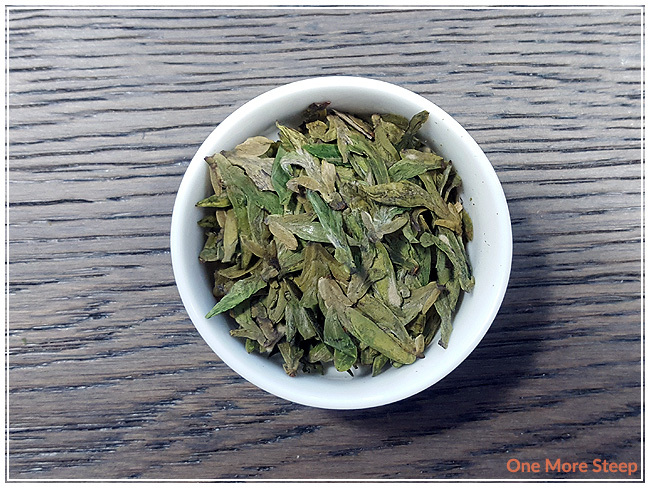 Grand Tea’s product page for Shi Feng Dragon Well suggests that the green tea can be steeped up to four times (three resteeps) so I had to try it out. The tea gets darker and closer to a golden yellow by the last steep. I found for the first resteep, the floral sweetness was more pronounced. 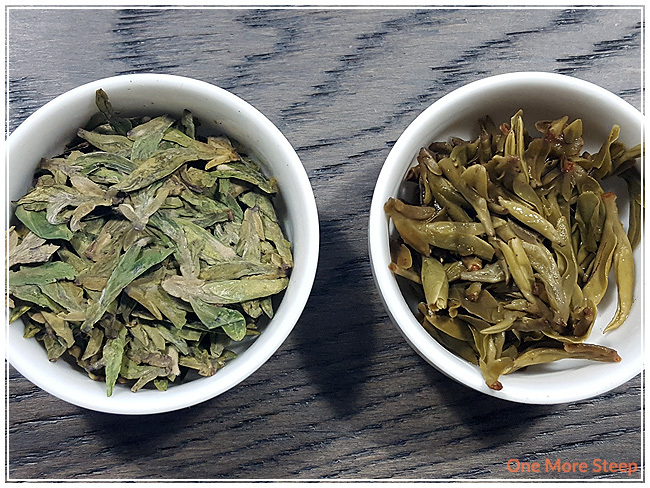 By the third resteep, the flavours are still well-balanced, but it does become weaker. 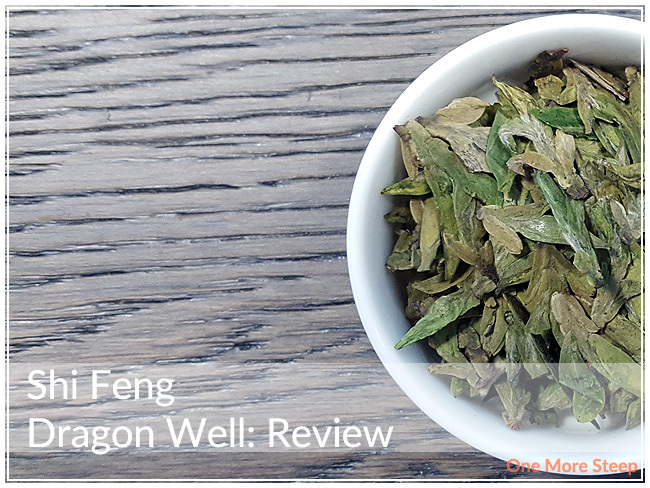 I did try a fourth and fifth resteep – the flavours do become weaker, but the tea still has a decent amount of flavour and I think that Shi Feng Dragon Well can handle six total steeps with the same leaves. I loved Grand Tea’s Shi Feng Dragon Well. I love a good green tea, and this one meets all the expectations that I have for Dragon Well these days. I quite enjoyed the balance of sweet, floral, and salty in this tea. The great thing about this Dragon Well is how it does with resteeping and how well the tea leaves hold up over a steeping session. 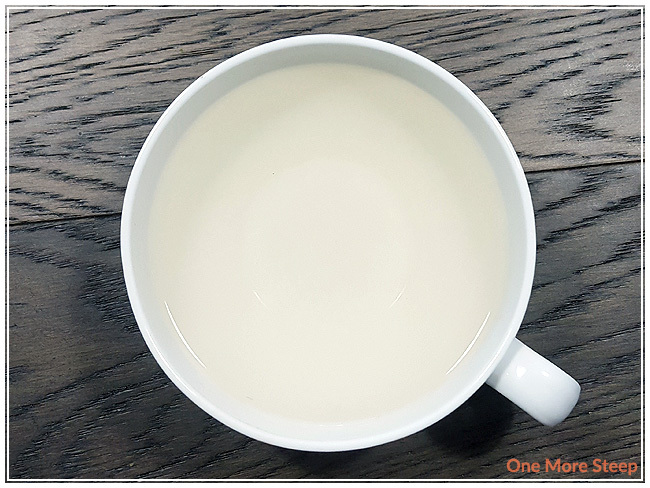 The quality of the tea leaves is high, and I think it’s a great tea to have over the course of the day – and it’d be a good tea to try grandpa style steeping if you haven’t tried it already.